The European Commission will host a donors’ conference in Brussels on 16 July, in order to mobilise further support to Serbia and Bosnia and Herzegovina following the recent floods there, the EU executive announced. The conference will be co-organised with France and Slovenia, Pia Ahrenkilde Hansen, spokesperson to Commission President José Manuel Barroso said Tuesday (24 June). Slovenia is a country which was part of the former Yugoslavia and France has had traditionally strong relations with Belgrade. 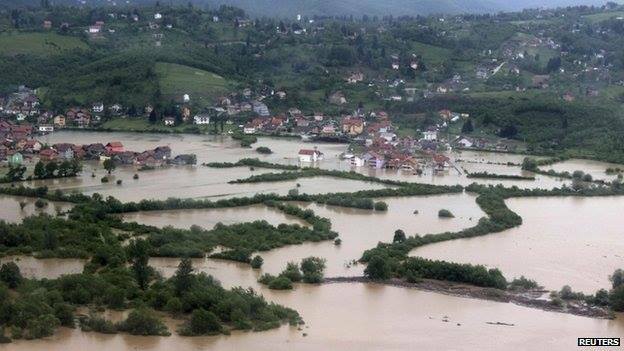 Last month, Serbia and Bosnia and Herzegovina were hit by the worst floods in the last 120 years. It is estimated that over 3 million people have been affected by the floods. The consequences are expected to be long-term, and may upset their reforms agenda. Some urgent assistance was already provided by the Commission and several EU member states, but due to the magnitude of the catastrophe, the EU executive took the decision to help organise more funding. Serbia is an EU candidate country, and Bosnia has been given the perspective of EU membership in a more distant future. Humanitarian Aid Commissioner Kristalina Georgieva stated in Brussels on 19 May that Croatia and Serbia can use up to €1 billion from the EU Solidarity Fund, to help recover from the flooding. She explained that discussions were being held as to the possibility of including Bosnia-Herzegovina within the broader framework of EU aid. “We are ready to use all available instruments to help the citizens of Serbia and Bosnia and Herzegovina recover from this natural disaster. The conference will mobilise funding much needed for the countries’ recovery,” Commissioner for Enlargement Štefan Füle was quoted as saying in a press release. He also called upon donors to contribute generously to the two Balkan states’ recovery efforts. International donor countries, international financial institutions, and relevant civil society organisations will be invited to the conference. The EU, the World Bank and the UN are working with the authorities in the affected areas on a needs assessment report which will be available in the next few weeks, the Commission said.